If you're planning a trip to Walt Disney World at some point in the future I'm sure you're wondering when is the best time to visit. With all sorts of things happening throughout the year it can be tough to settle on just one or two weeks at some random time in the year. Here's a little info to help you decide. Even after visiting as many times as I have I find a quick search on Google can be a little helpful. There are certain dates when it is super busy, like Christmas - Christmas is the busiest time in Walt Disney World. I have never visited at Christmas, although I really want to, but I've heard that the queues for rides are epic and the crowds are huge. To give you a starting point my family and I have visited during the Easter holidays (UK) in April, when it is busy but not too bad, during the summer (July/August), when it is very busy and very hot, and once in November, when it was a lot less busy and a lot cooler (although still very hot - it is Florida after all). In a list of the best times to visit Walt Disney World is the second half of August and I'd have to agree - at least slightly. Having been there from the start of the school summer holidays, around 21st July, and stayed until the start of September more than once, we've noticed that the crowds tend to clear out a little during the second half of August. I think this is when the American children go back to school - I'm sure my American friends could confirm that one. With less people comes shorter wait times for the rides and this is definitely welcome, we loved the shorter lines and go on rides more than once sometimes. But there is also a downside to visiting during the second half of August. Because there are less crowds the parks open later and close earlier. Sometimes it's not by much and this is why we tend to prefer it this time of year. In our opinion the summer is the best time to visit Walt Disney World but if you can, try to stick to the second half of August. When we arrive in Walt Disney World at the start of our holiday it always super busy. There are people everywhere, the queue lines are long, and sometimes it can be a little overwhelming - particularly for the younger children. You can escape the crowds though, you just have to know how. There are plenty of rest spots around the parks, shops all over the place for you to escape the heat, and I've noticed that the area around Dinosaur in Animal Kingdom always tends to be quieter. I'm not sure why that is. The weather during the summer months can be unpredictable. It can get very rainy at times but the sun is back out in no time - usually. From our extensive research (visiting many times over the years) we've noticed it tends to be sunny in the morning and there is often rain in the afternoon. Sometimes the rain will last all afternoon and we tend to use these times to have an afternoon nap, but other times the rain will last just 10 minutes. Like I said, it's unpredictable but if you're from the UK you'll be thankful for a little downpour because it eases the humidity just a little. 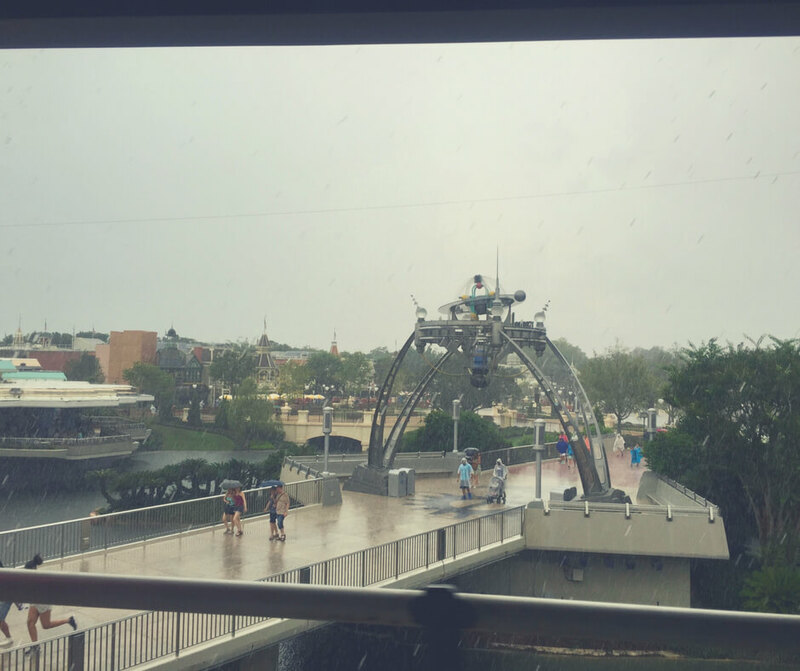 We were on the PeopleMover when I took this photo - we just missed the downpour! The key to beating the crowds, and sometimes even the weather, is planning. When you book a holiday to Walt Disney World you can pre-book your fast passes. 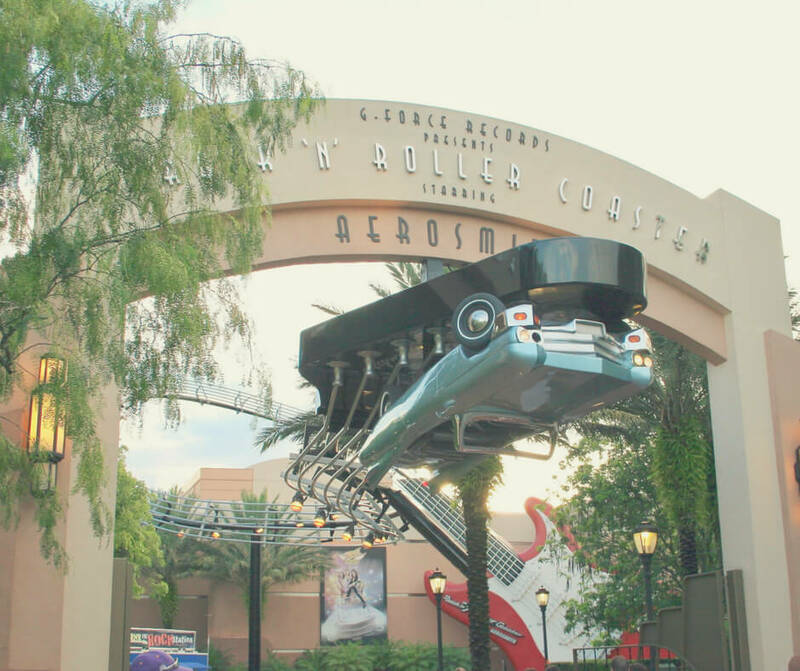 Fastpass+ is a way to skip the queues for rides, and you can book them before you even arrive in Orlando. We've had this year's holiday booked for more than a year, and because we are staying "on property" we were able to book our Fastpasses 60 days before arriving in Walt Disney World. It may sound strange to book "tickets" for rides when you aren't sure what you'll want to go on when you get there, but here's the thing - it makes it easier to decide where to go next! We have six whole weeks of Fastpasses booked now. 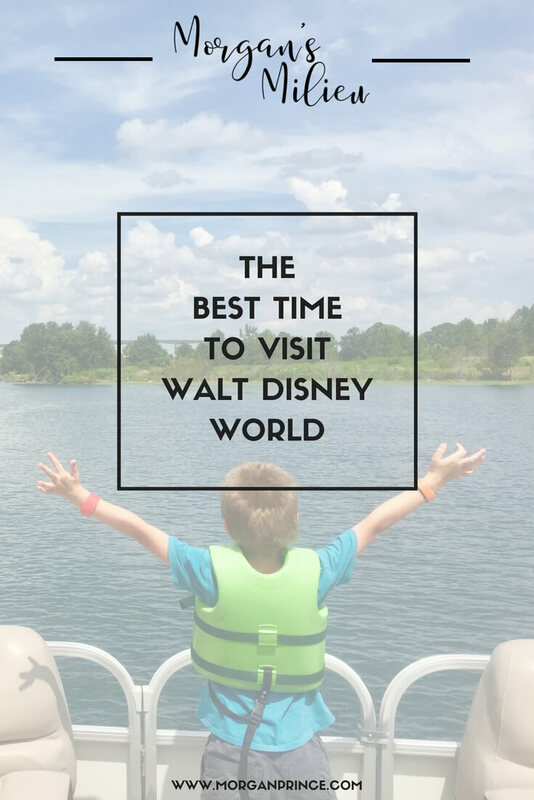 For us summer is the best time to visit Walt Disney World, mainly because we get to spend six weeks there and we can't do that at any other time in the year because of school for the boys. However, even if we were staying for two weeks I think we'd still choose the summer. That may change when our boys are older and it's just the two of us going, only time will tell. You can do all the research you like but no web page is going to tell you when is the best time to visit for you. Your plans, your tolerance for heat, your ability to cope with crowds, they're all considerations to take into account and to be honest you're not going to know what to do without going. Visiting Walt Disney World is a magical experience no matter when you visit, so take the plunge and choose a date - you'll enjoy yourself no matter what! 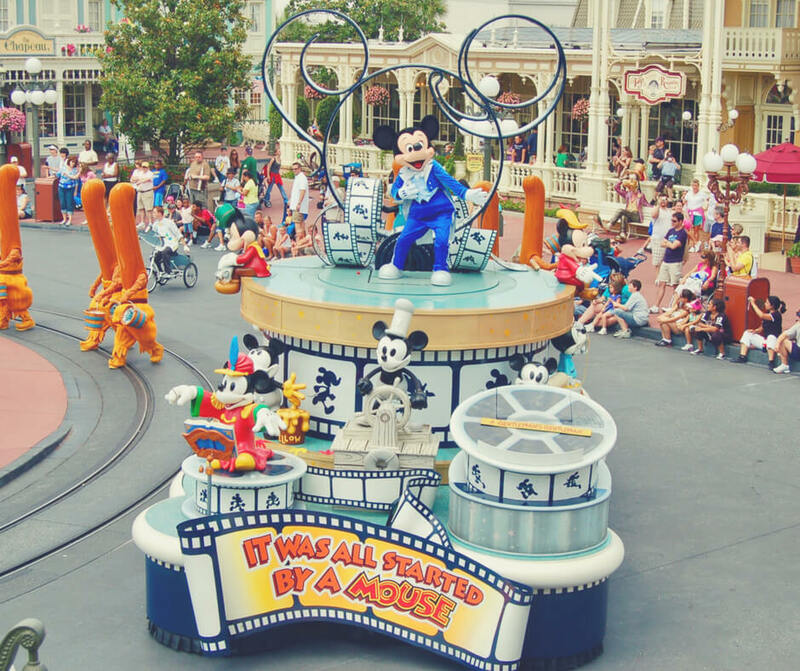 When are you planning on visiting Walt Disney World? 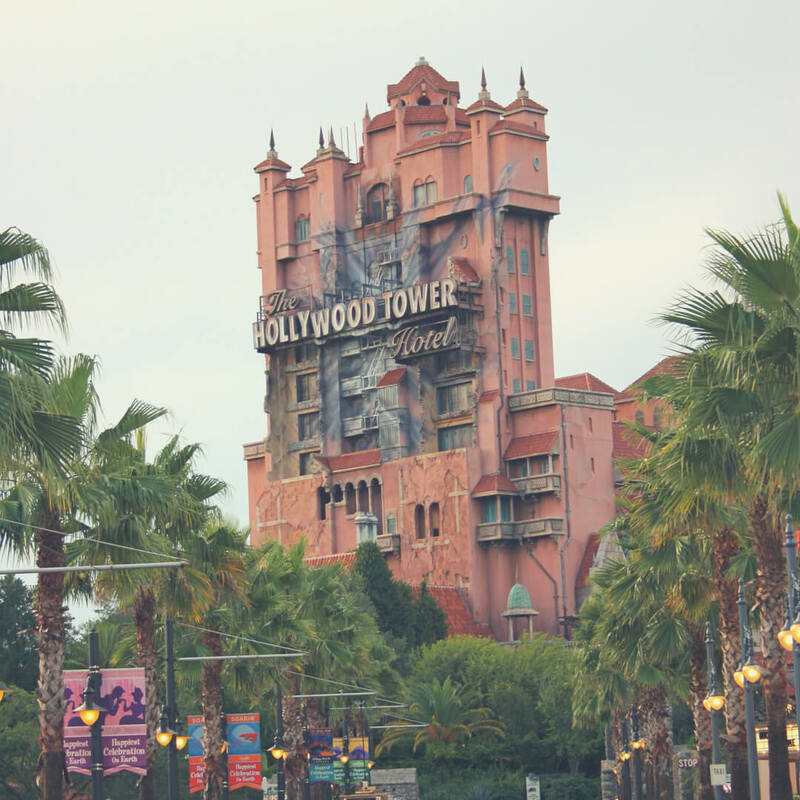 If you liked reading this post and are planning a holiday to Walt Disney World you might find my post Things to know before visiting Walt Disney World helpful, and I also have a post all about fast passes entitled Everything you need to know about Fastpass+. I adore chatting about Walt Disney World so if you'd like to chat head over to Facebook and connect with me. And if like me you're a stay-at-home mum fighting battles every day why not join my #MumWinning Revolution and start winning! 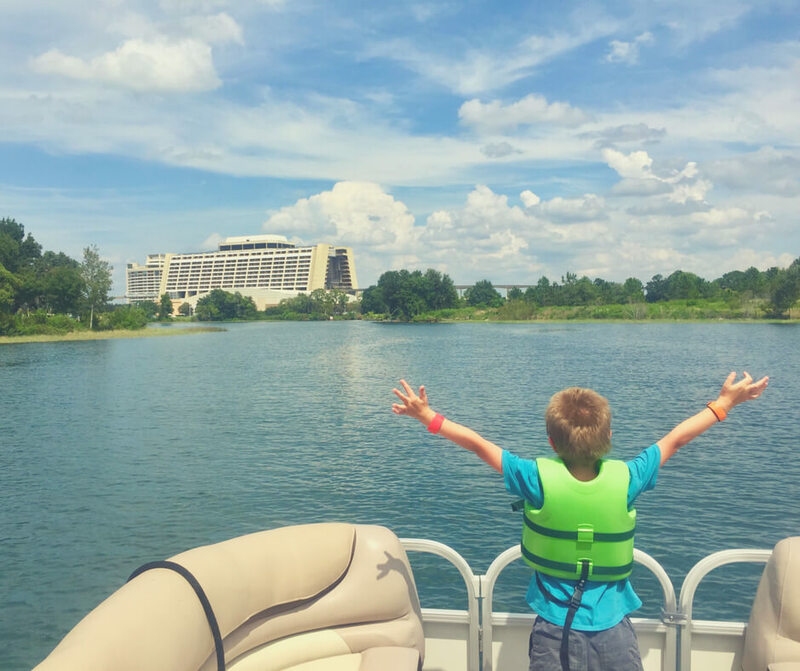 Don't you get bored of Walt Disney World? Try out Nordic Walking this summer for FREE!